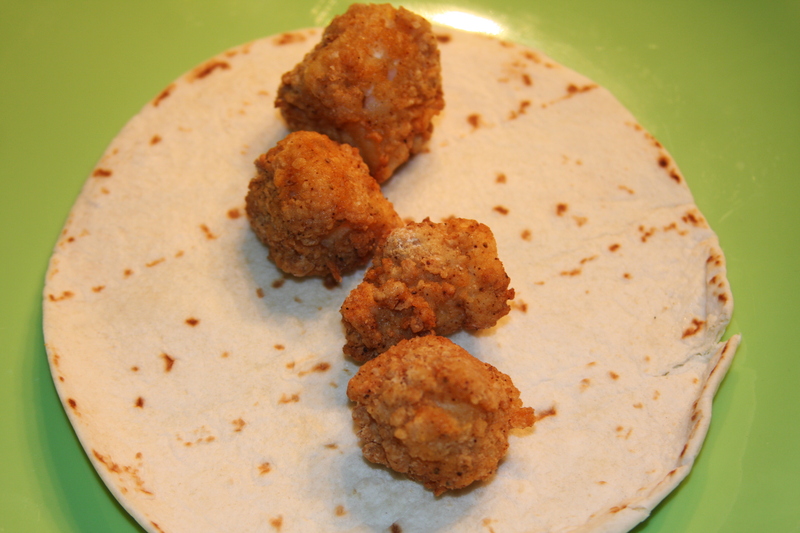 It seems like fish tacos are pretty popular these days. You can find them on the menu at just about any restaurant and there are plenty of versions to choose from. 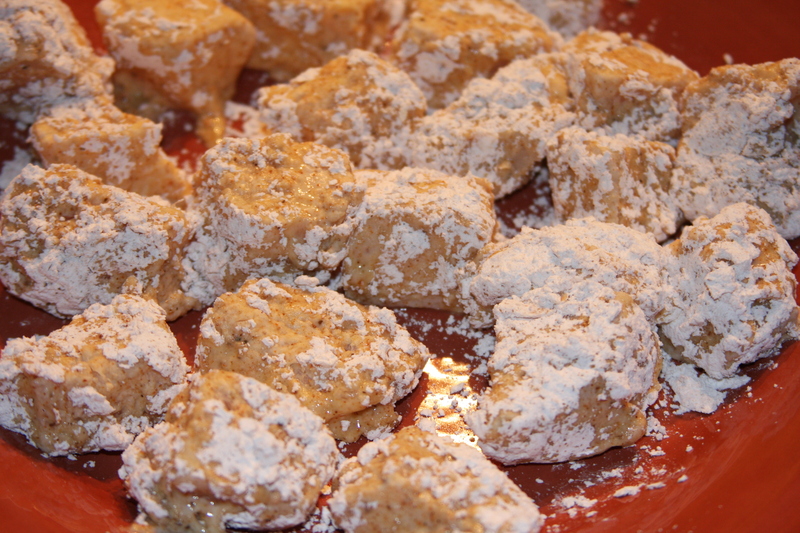 I have been making these for awhile and I have tried several different recipes/versions of them over the years. The first time I made them using a tempura batter. The flavor was good but I could never get them crispy enough. This time though, I think we have a clear winner! 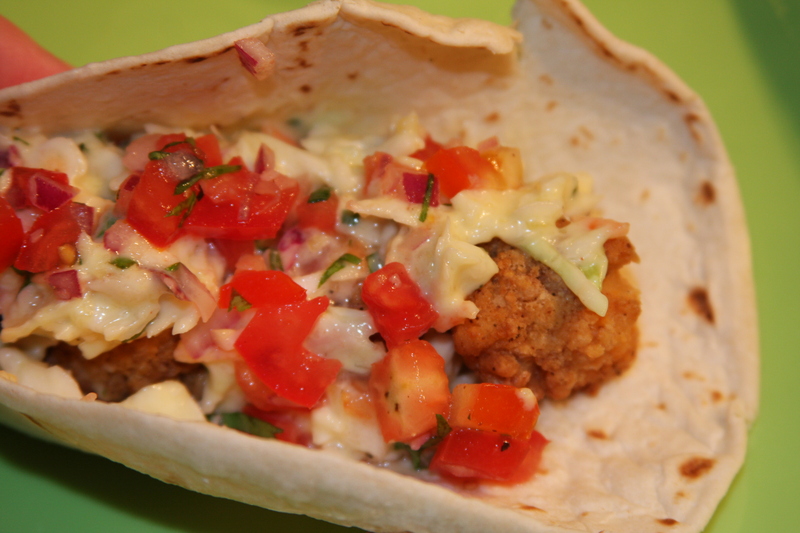 These went perfect with the Mango Cole Slaw and Fresh Pico de Gallo. It was the perfect blend of flavors. This recipe serves about 6-8 people. It is also gluten free if you use the corn tortillas instead of flour! 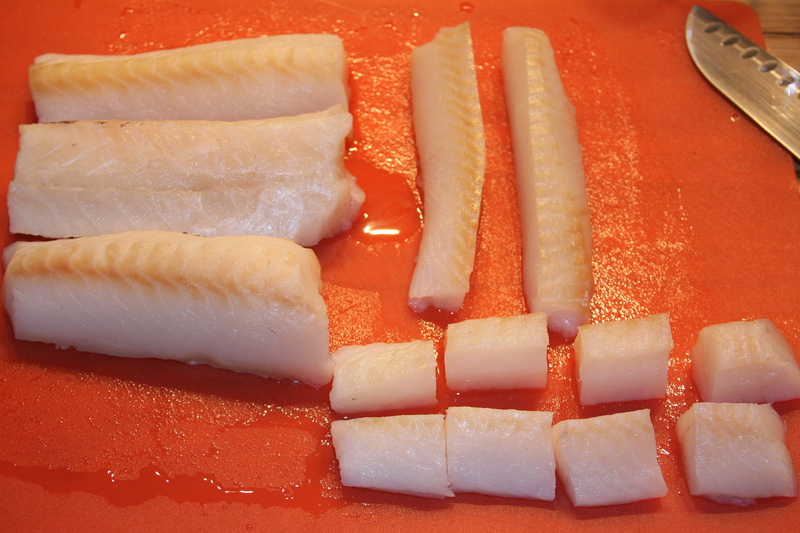 Cut each fish fillet straight down the center making two fillets and then cut each of those into about 8 pieces each. Just like this below, then set aside. 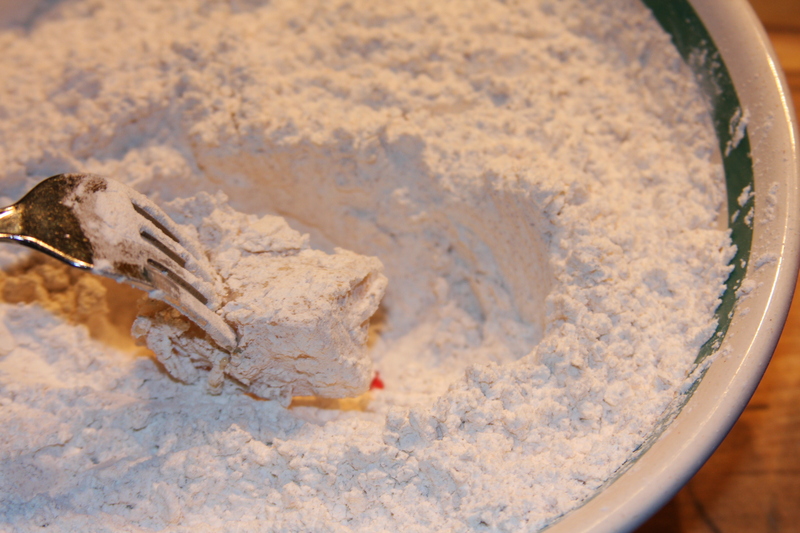 Ina medium sized, shallow bowl you will crack your eggs and whisk until blended. 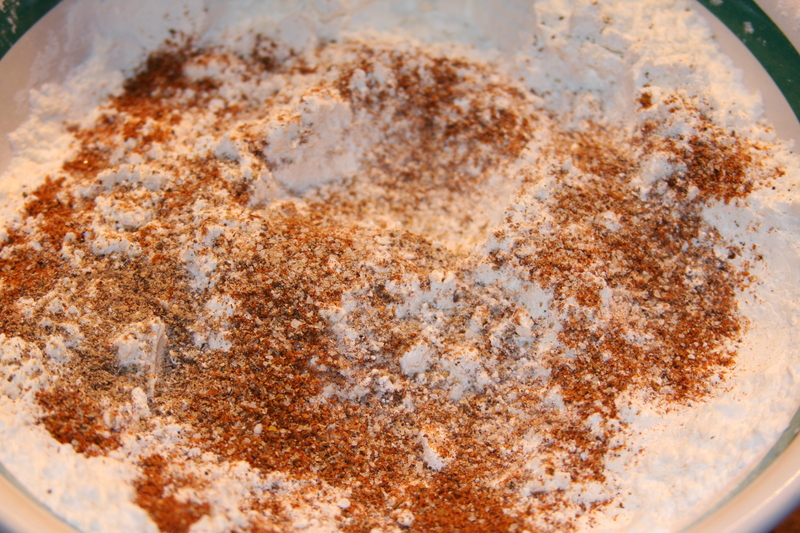 In another bowl, add about 1 1/2 – 2 cups of corn starch, Old Bay, salt and pepper and cayenne. 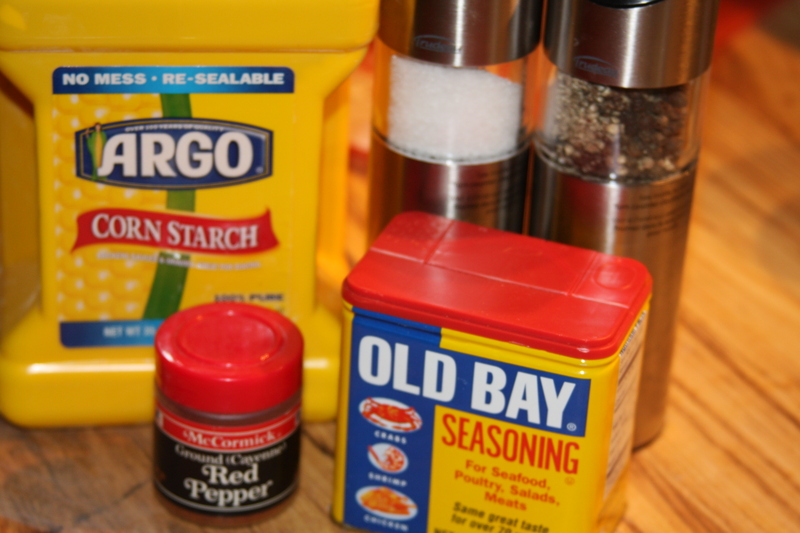 You can just add in the other seasonings according to your taste preference. I didn’t measure any of this, I just kind of added it until you could see it in the corn starch mix. Use a whisk to blend it all together evenly. 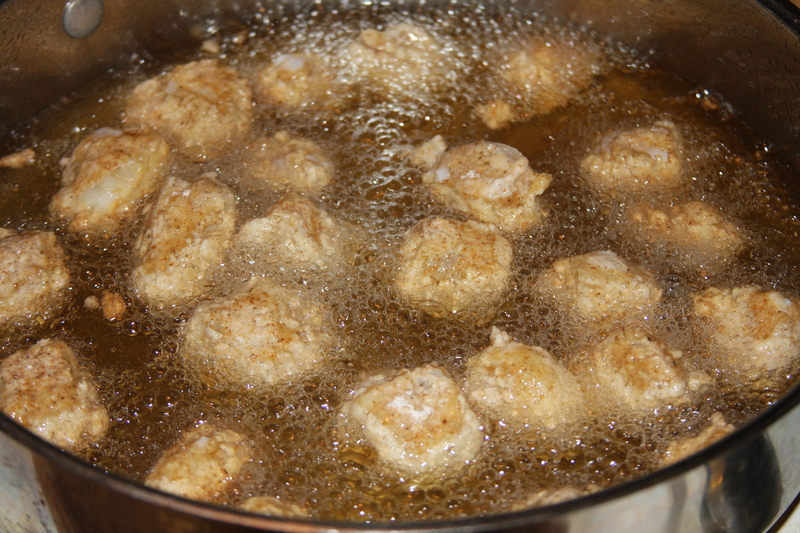 While you are battering the fish, heat up your oil in a large skillet (or heat up a deep fryer). 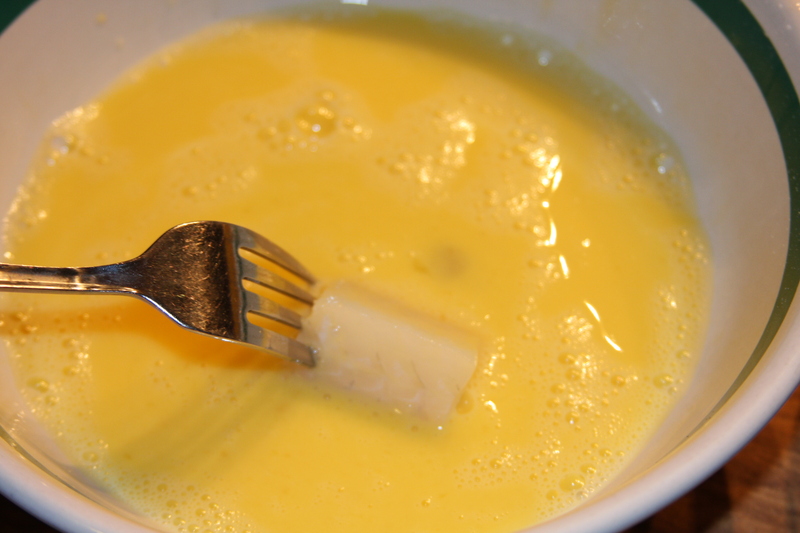 Dip your pieces of fish into the egg, coating well. Then into the corn starch/seasoning mixture, coating well. Then repeat that process again so that you get a double batter on the fish. You don’t have to do this, but I love the extra crunchy texture you get when they are fried. 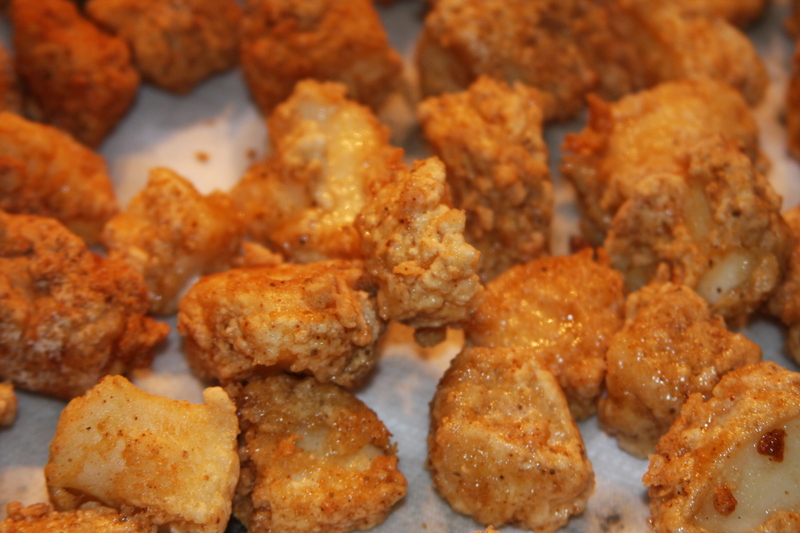 Once they are all battered, you will drop them in the hot oil, being careful not to overcrowd the pan. Cook them for about 3-4 minutes per side and then remove from oil and let drain on paper towels. These are little bites of heaven! Once you get them all fried up, lay out your tortilla. I added 4 pieces of fish to each one. 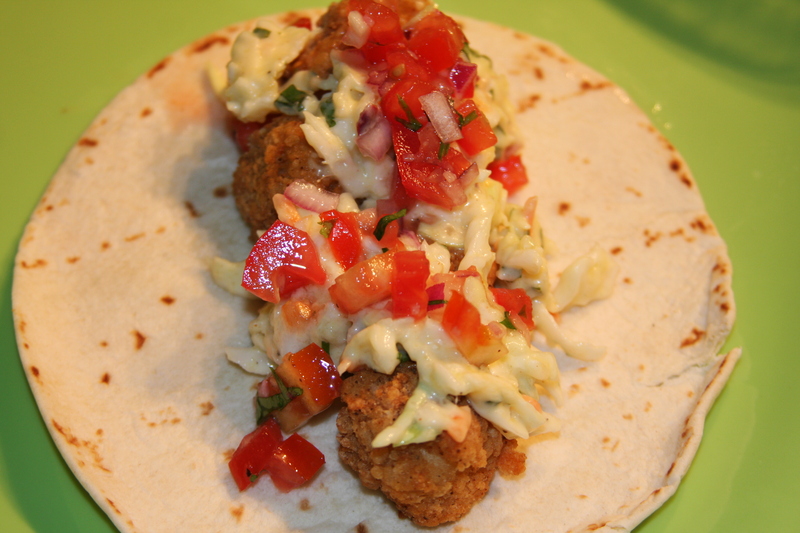 Then top with the mango cole slaw and pico de gallo. Then fold em’ up and enjoy the heck outta them! 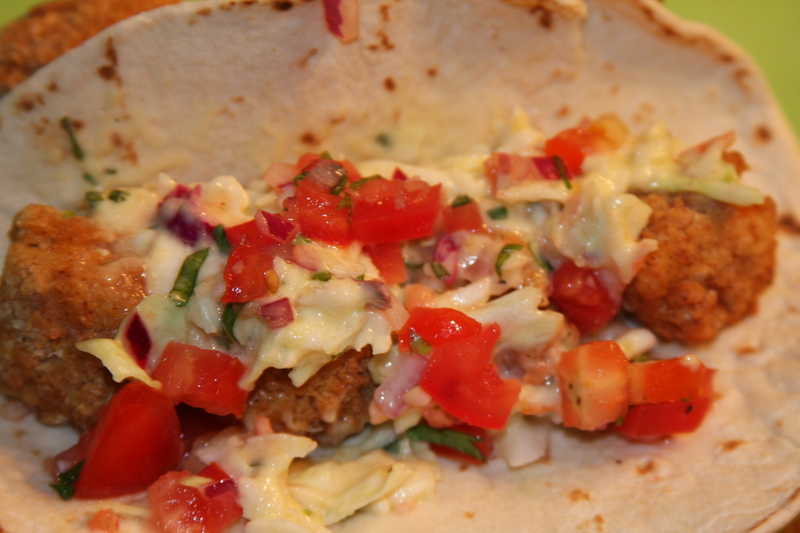 This entry was posted in Appetizers, Dinner, Gluten-Free, Lunch, Mexican Inspired, Recipes, Seafood, Sides. Bookmark the permalink.